We breathe life into your travel itinerary and go above and beyond to make it flawless, and to deliver you the experience of a lifetime. Far & High Adventure Travel is a Minneapolis, Minnesota based tour supplier specialized in small group and custom private and independent tours to Himalaya and Southeast Asia. All of our partners, managers, guides and field staff have had roots in Asia; they are educated, trained, and have had years of experience in Asian tours. For us, travel is a way of life. We breathe life into your travel itinerary and go above and beyond to make it flawless, and to deliver you the experience of a lifetime. Our destinations include Nepal, Tibet, Bhutan, India, Sri Lanka, Myanmar, Thailand, Cambodia, Vietnam, Laos, Indonesia, Malaysia, and Mongolia! At Far & High, we try to offer more than just regular tourism; We are always on the lookout for newly opened areas that are off the beaten path (the areas least visited by foreigners). Bhutan, Tibet, Nepal, and the Indian Himalayas are the focus destinations of Far & High. We also offer trips to Myanmar (Burma), Thailand, Cambodia, Vietnam, Laos, and Mongolia. We specialize in small group tours, private journeys, trekking and hiking trips, and solo/independent traveling. Sonam Jamtsho is your host in Bhutan. A graduate in Business Administration from the North Bengal University, India, Sonam leads Far & High's operation in Bhutan. A certified Guide, Sonam has spent years in guiding tours and trekking in Bhutan. Sonam pays attention to the details and puts his all efforts and energy to make your trip successful. When you are an individual or part of a group, Sonam gives you an undivided attention. A native of Bhutan, Sonam lives in Thimphu with his wife Chimi and 2 years old daughter. Tashi Norbu studied Tibetan medicine in school but his passion for travel and adventures brought him to tourism field. Tashi started his career as Tour Guide and led cultural tours, trekking and overland safaris in entire Central Tibet, Mount Kailash and West Tibet, Kham and Amdo regions of Tibetan cultural areas. Now, settled in Lhasa office, Tashi handles entire operation that includes reservation of the hotels, guide, permits and transportation. 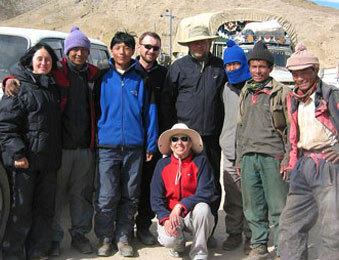 Tashi also uses his guiding experience and destination knowledge to produce beautiful tour itineraries. A young Tibetan native, Tashi is calm, straight forward and detail oriented person and always pays attention to the needs of the travelers. 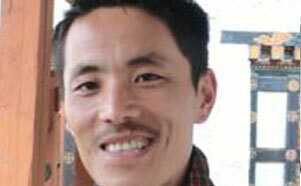 Tashi enjoys reading books, listening music and watching movies when he is not organizing trips. Rashmila is the native of Bhaktapur, Nepal. A tourism and hospitality management graduate, Rashmila has completed Tour Guide course as well. She has worked in various tour and trek operation positions before joining our team. 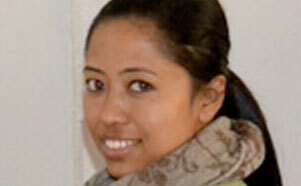 Rashmila also has worked as a tourism and hospitality instructor in a local college. Friendly and an outgoing personality, Rashmila enjoys traveling and meeting people. Rashmila's job as an Operation Manager is to make sure that all your travel logistics are in order and to ensure that your holiday in Nepal is smooth and enjoyable. 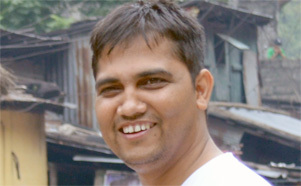 Dev, also called "Dave" has a Master's degree in Business Studies from Tribhuwan University, Kathmandu, Nepal. Dave comes from finance and accounting background. 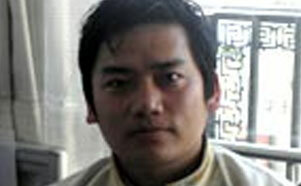 He is also an IATA certified Travel Agent and has completed Tour Guide course from Nepal government's Tourism Academy. Dave is the head of Far & High's operation in Nepal. Although he is an office person, he loves to lead the tours whenever he gets chance. Walter Somers studied Indian philosophy, is an adviser to the Nepali community in Belgium, and represents Far & High in Europe. 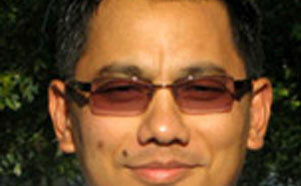 For him and his wife Jenny, Nepal is a second homeland. Walter and Jenny have trekked the Annapurnas in Nepal, Markha Valley in India, K2 in Pakistan, and Mount Everest and Mount Kailash on the side of Tibet. Soft spoken and patient, Walter and Jenny are both happy to share their knowledge and experience of the mountains and its peoples with potential travelers. Postak lives in Twin Cities of Minnesota with his wife and two daughters and manages Far & High's office in the USA. A native of Nepal, Postak started his career in tourism industry in 1993 as Nature Guide in the jungles of Chitwan National Park and later moved to the capital city of Kathmandu and worked as Tour Guide for a European Tour Operator. In May 1998, Postak and his co-workers founded their own company in Kathmandu which he headed until he immigrated to the USA in March 2005. 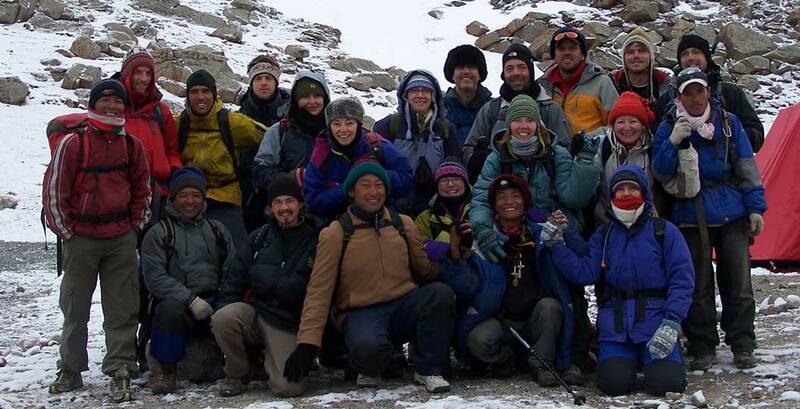 Postak has organized and led trips to entire Nepal, Bhutan, Tibet and India. We specialize in small groups and custom crafted independent tours. Our group departures are guaranteed with a minimum of two sign-ups. We keep our groups small, usually less than ten persons, so that each participant receives personal attention from their guides and support staff. Small group travel allows our traveler's flexibility in itineraries and access to areas and sights unknown or unavailable to large tour groups—plus you have more independence and opportunity to socialize and share your experience with other participants. Our itineraries are in fact, an approximate indication of the schedule, the scope of activities, and trip routing, rather than an inflexible schedule of events. Typically there are changes to the daily itinerary depending on local conditions and on request of our quests provided there is no financial consequence. These changes may vary from specific sights to the village or city visited. Every evening our guests and guide or Tour Manager sit down together to discuss the next day's schedule, and at this time you will have the opportunity to put forth your ideas or request the change you would like to have in the itinerary. Our trips cover history, the arts and architecture, religion and culture, local festivals and events, nature and landscape, and soft to moderate adventures (e.g., jungle safaris, river rafting, hiking, mountain biking, mountaineering, etc.). Cultural tours are motor vehicle-based tours, but we also offer optional hikes and village visits. During our trips, you will have the opportunity to meet the locals, try local cuisine and attend local festivals and events. For those who want more active adventures, we offer rafting, mountain biking, trekking, jungle safaris and more. More than 70% of our customers elect to customize their trips. Any trip featured on this website can be taken as a foundation to build your private tour. Select a date that suits you, and we will suggest a detailed itinerary. If none of our existing plans works for you, we can craft one that does. Our trips are escorted by locally gifted and talented guides who are university graduates, certified by the local government, are fluent in English and will act as your translator. They are professional but are also easy going, friendly and hardworking. Using local guides, we not only provide jobs to the locals but also save on the high cost of a western Trip Leader. Most importantly, no matter how much expertise a foreigner can have on an area or people, there is no match for local knowledge. When you travel to multiple countries in one trip, the guides and support staff will change. We continuously keep eyes on the political and social conditions in the countries we visit, and we do not operate trips in politically and socially disturbed areas. It's your responsibility to determine if you are physically fit and in sound health condition to undertake our trips. As you go through our trips, you will very quickly feel the vital need for preserving the local culture and environment. We do our best to leave a minimum impact on the culture, environment, and biodiversity of remote highlands. It plays an essential role in helping to increase awareness to the outside world, as well to the local people of the need to preserve these areas for future generations, rather than exploit them now for short term economic gain. We do our very best to ensure that local populations in the areas we visit benefit directly from our tours. On trekking and hiking trips, we use local produce and supplies as far as possible. At campsites, we properly dispose of garbage, recycle cans and bottles, and discourage the use of firewood for cooking to help prevent deforestation. In short, we respect local culture and tradition and abide by local social etiquette. Far & High Adventure Travel supports local non-profit organizations working in community development and environmental conservation. We financially support the Sankhu-Palubari Community School Nepal project of Advocates for Human Rights, Empower Nepal Foundation (EMF) and Minnesota Nepali Community Center Project of ANMN. Besides, we help and support small orphanages and schools in remote Asian countries when possible. So, by traveling with us, part of your tour payment is spent on a good cause, and you are helping in the community development and environmental conservation of the areas you visit. Far & High is a proud supplier member of American Society of Travel Agents, in short, ASTA. ASTA is perhaps the world's only the largest association of travel professionals. ASTA's members include tour operators, cruise companies, ground suppliers, travel agents and companies whose products they sell such as tours, cruises, hotels, car rentals, etc. ASTA is also the leading advocate for travel agents, the travel industry and the traveling public. ASTA was founded in 1931 as the American Steamship and Tourist Agents' Association. Now ASTA and its affiliates include the world's largest and most influential travel trade association with members in 140 countries. As the world's largest travel trade association, ASTA's work encompasses every aspect of the travel experience. Far & High has enrolled in ASTA Tour Operator Program (Top) that establishes our commitment to conduct business with integrity, treat travel agents in a courteous and professional manner; and strive to perform to the travel agent's expectations. Our clients can relax while on tours knowing those informed; friendly specialists are available 24/7 to provide expert knowledge on the destinations. 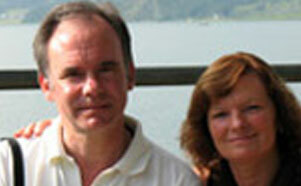 CCRA is a prestigious association for Independent travel professionals. CCRA provides members with a variety of educational programs, training and networking opportunities. Far & High is a proud supplier member of CCRA and we actively participate and support CCRA's activities. Midwest Travel Suppliers Association (MTSA). MTSA is comprised of over 100 members, representing a wide array of travel products. Major tourist boards, hotels and resorts, cruise lines, tour operators and more make up our membership; and, our numbers continue to grow. MTSA's focus is to offer the perfect blend of experience and expertise in disseminating information to our travel partners by working as a unified team to educate the travel agent community; and, to keep all segments abreast of changes in the travel industry. Skål International has approximately 17,000 members in 400 Clubs throughout 80 nations. Most activities occur at a local level, moving up through National Committees, under the umbrella of Skål International, headquartered at the General Secretariat in Torremolinos, Spain. Far & High is a BBB accredited business in Minnesota, and we maintain A+ rating which is a testimony of our commitment to making a good faith effort to resolve any consumer complaints. We do not have a single complaint registered with BBB. Better Business Bureau of Minnesota and North Dakota is the first BBB!" They are a non-profit organization founded by ethical business owners in the Twin Cities in 1912. The BBB is supported today by nearly 6,400 locally Accredited Businesses that believe in their mission. NTA is a prestigious organization of Tour Operators based in North America. NTA leads the growth of travel to, from and within North America by creating and expanding business opportunities for our members.